The government of India has granted USD 50 million (MVR 771 million) to the Maldives as budget support, revealed the Ministry of Finance on Tuesday. According to Finance Minister Ibrahim Ameer, India granted USD 25 million in December 2018, followed by another USD 25 million in January this year. The budget support aid is part of the USD 1.4 billion credit facility India is providing to the Maldives, which was announced by Indian Prime Minister Narendra Modi during President Ibrahim Mohamed Solih's state visit to the neighbouring nation in December 2018. USD 200 million of the credit line is allocated as budget support, out of which USD 50 million is free aid, while the remaining USD 150 million is to be invested in T-bills. The Indian government will also provide USD 800 million to fund development projects in Maldives, and USD 400 million for currency swap. 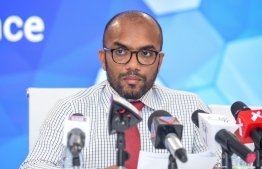 The minister stated that India would project the budget support only per the request of the Maldivian administration.